If you are planning to take advantage of our Rent to Own Program our Down Payment Growth Program has been developed to help you save the small amount you need for a down payment to move into one of our gorgeous homes! We know that saving enough money for a down payment while paying rent can be cumbersome. Life happens and sometimes you have no choice but to live day to day. Through this program we create together a mandatory savings plan to help you accumulate the necessary down payment to purchase that dream home. How Does The Down Payment Growth Program Work In A Nutshell? We sit with you to fully assess your current family financial situation. You let us know what the home of your dreams is. Together we make a realistic plan to save money for your dream home. With this plan you will be making periodic contributions into a trust account. Some of these contributions are made monthly. You place the monthly savings into our trust account and once we are close to achieving the target goal, the amount required to get you into your dream home, we start looking for it! As a result of some life circumstances some of our clients have very bad credit and not much money to start with, but they have a well paying job. With our Down Payment Growth Program they have been able to save enough to get into their dream home through our Rent to Own Program. In other cases we have clients with very decent credit but no money at all for a down payment. In this case we have been able to work with them and our mortgage broker in very short periods of time to help them save a part of the down payment. Then help to get them into one of our homes while we finance the rest with our Seller Finance Program. What Are The Benefits Of Saving My Money With You? First, you will have somebody to keep you accountable to your saving goal. Second, we have a big buyers list and many times our houses are not listed for long. In working on this program you get a big advantage: Once we have identified what type of home and where you are looking, we look aggressively in these areas for those types of homes and you will get a first shot at all our houses that fit your criteria. You will have then 24 hours to make your mind and decide if you want or not this specific house. We repeat this process until we finally find a home that you like…. But…What If After Saving My Money With You I Don’t Like Any Of The Houses? This may a possibility too and if this happens you will get immediately all the money that we have been able to save up to now. The best reward for us will be to know that you are closer to owning your own home one way or the other! After a very bad divorce three years ago, our client is left facing bankruptcy and with zero money in the bank account. Finally he is starting a new family and they need a new home to move. He is self employed and business is going well but the bank said “no” several times after the bankruptcy. She is a part time care giver and also has some income. They need a 3 bedroom 1 ½ bathroom bungalow, with a basement to setup a home office, in one specific neighbourhood close to the children’s school and to her job. The average market price of the property is expected around the $350,000. They would like to have at least $20,000 down to reduce the monthly payments and get into a home using our Rent to Own Program. They will start setting aside $800 per month for the next 6 months ($4,800). They gave us 6 post-dated cheques to be deposited into the trust account. He also had a bike, a lovely Harley-Davidson that he bought after his divorce but barely drove. He was able to sell the bike right away for $16,500. After 6 months they were able to save $20,300. In the 5th month they finally fall in love with a gorgeous well maintained three bedroom bungalow in the neighbourhood they wanted and moved in right away. Right after moving we started working with our mortgage broker and our credit repair consultant to build a plan to help our couple qualify for a mortgage within three years. Not bad for somebody with no money down and bad credit! If not having enough money saved for a down payment has been stopping you to get into your dream home, don’t let it stop you now! We Will Contact You To Get Started Right Away! Within what price range are you looking? What is your monthly household income before taxes? How much down payment can you raise for your new home now? How much more can you raise in the short future? How many months from now can you raise this amount? Knowing that part of the monthly payment goes towards the future purchase of your home, how much monthly payment can you afford? 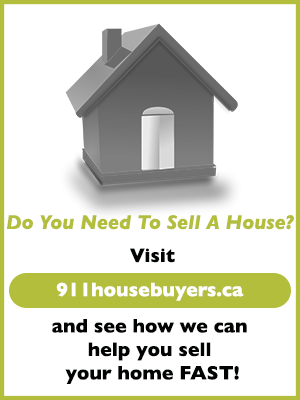 Do you have any extra income coming soon that you can count on for the purchase of your home? Do you have any assests that can be sold or exchanged to put towards the proceeds of your home? 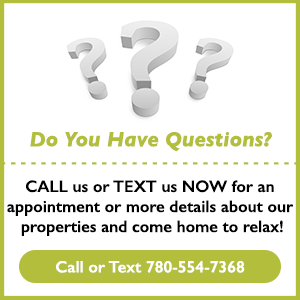 Any additional information regarding your credit you would like us to know? Have you already been pre-approved by a bank? If you are pre-approved, for what amount?